Awakening Colors will take you on a magical adventure! Read this fascinating story that weaves together current times with ancient mythologies. Set in modern day Toronto, this book is an exciting story of adventures that evolve across material worlds into illusions and beyond. Using his powers to reach into the world of illusions, Arche Lasarre is able to change destinies. The power of his manipulations threatens all three worlds: the material, the illusionary and the timeless. Visions of constantly changing destinies and futures depicted in vibrant colors – this is what Pari sees. Mystified and confused, Pari initially hides her visions from others. She dismisses them as hallucinations. Guided by scrolls left to her by the spiritual master Chanakya, Pari needs to discover her powers and define her own destiny. Will she be seduced by the lure of Arche’s power of illusions? Will she choose her own path? What will Pari do? It wasn’t her dad. She had accosted some stranger. As sense gradually returned to her, embarrassment at the mistake kept her on the floor as she thought through her gaffe. She knew she could sit up, but somehow a part of her refused to. She lay there and closed her eyes. Tears of embarrassment squeezed out of her eyes. “Daddy…Daddy…” she continued to whisper loudly. By now, she knew the stranger was not her dad, but she didn’t know how to gracefully extricate herself, so she played up her condition. The whole thing seemed so incredible to her now. She had abandoned a key interview and a chance at possibly the launch of her career in the finance industry. Instead she had followed a total stranger, convinced it was her dead dad! How was she going to live this down? As she lay there prone with her eyes closed, attempting to ignore the throng surrounding her, she considered the possibility of bolting back to the subway. If she managed to get up right away and leave, she could just make her interview. Then she considered her situation. She was lying on the floor of a busy area, and there was bound to be dust on her clothes. Her hair was mussed and needed a good brushing out. She was crying, which meant that her mascara was smudged and her face needed to be redone too. Possibly her eyes were red from crying. She tried to remember if there was any Visine in her bag. At that time, she realized, there was no way she could convert this messy person on the floor of Union Station back to the svelte professional who was reflected back at her at 1 Queen. It was as if she had left that person back there and now there was not enough time to go back and claim her. She wondered if her reflection had decided to go for the interview without her. She imagined herself in the pane of the interviewer’s window delivering this speech. Hysteria gripped her then and a giggle rose from her belly, tickling its way up and trying to escape her lips. She tried to control it and clenched her jaw shut, then swallowed quickly to tamp it down. But the insistent giggle found its way up and escaped through her nose in a big snort that she tried to cover up with a loud cough. Rooted to her land of birth, India, and tied to her adoptive country Canada where she has lived for the past 25 plus years, Ritu combines her experiences and beliefs to weave seamless stories that will awaken your imagination and change the way you view the world. 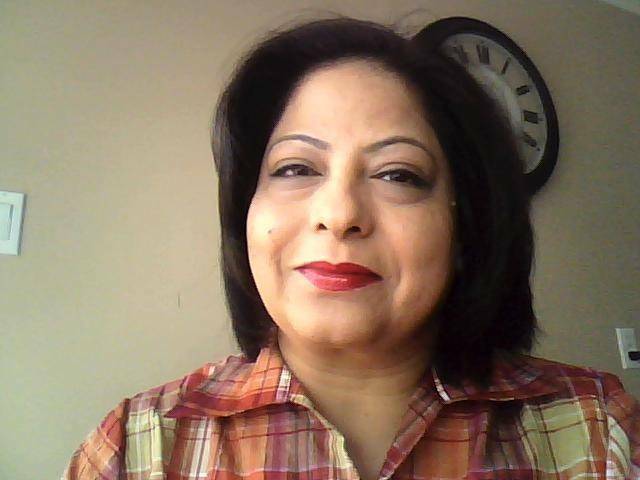 Ritu is committed to working closely with a set of beta readers and her editor to write and publish quality works of fiction. Besides writing, she loves to read, garden, meditate and to walk. She currently lives in Woodbridge, Ontario with her husband. 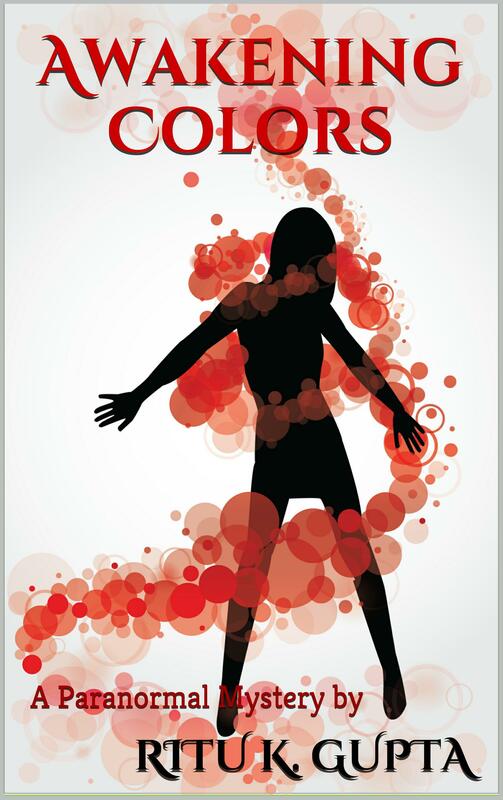 Her first book Awakening Colors is available for purchase on Amazon and Kobo.